Great value, high quality accommodation for 6 adults in Tobermory, Isle of Mull. Tigh-na-acha is a self-catering detached cottage sleeping 6 people in 2 twin and 1 double bedroom. 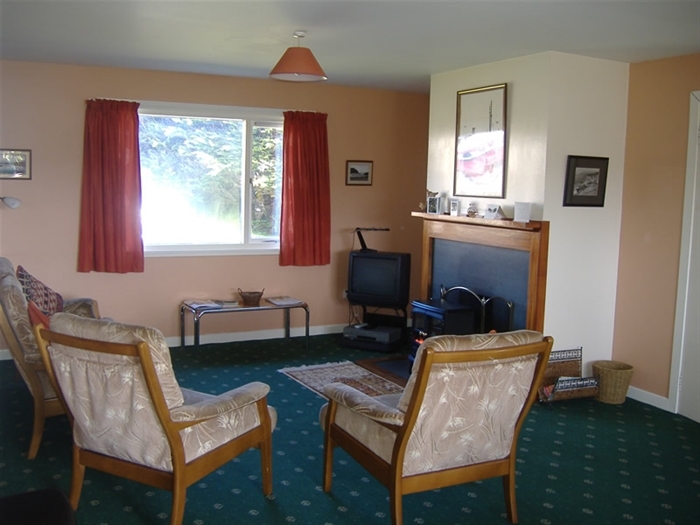 Situated in upper Tobermory with fine views over the surrounding hills and the Sound of Mull. Fishing, golf, boat trips and wildlife expeditions are available locally. The cottage is comfortably furnished and well equipped to comfortably accommodate six people. Large through lounge and dining room with TV (Freeview / Video and DVD), dining table and a open wood / coal burning fire. Kitchen with electric cooker, microwave, fridge/freezer, washing machine and breakfast / dining area. Bathroom with power shower, bath, toilet wall heater and shaver point. 3 good sized double bedrooms with built-in wardrobes with hangers in each bedroom. Driveway with parking for two cars.